A richly dimensional exterior brimming with special details enhances any streetscape, and distinguishes this family-friendly house plan. Incredibly open common areas are complemented by practical specialized spaces, like the library, e-space, pantry, and huge utility room. Each bedroom has an adjacent bathroom, and the master suite enjoys privacy and access to the covered porch. Columns, decorative ceilings, built-in shelves, and a screen porch with fireplace add custom elements to this remarkable Craftsman house plan. 1st Floor: 2966 Sq. Ft. 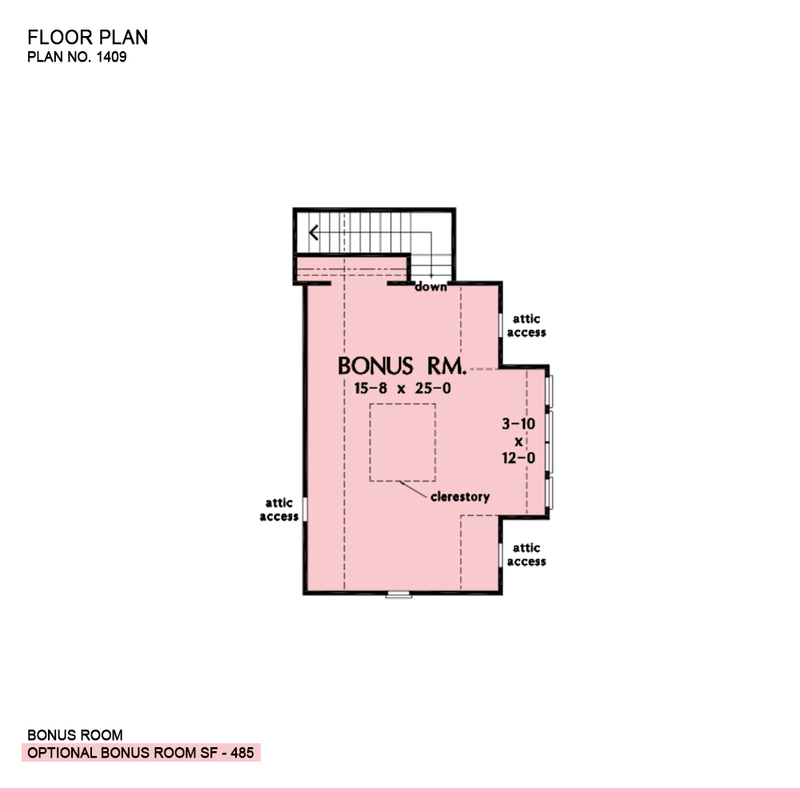 Bonus Room: 485 Sq. Ft.
Porch - Front: 245 Sq. Ft.
Porch - Rear: 144 Sq. Ft.
Porch - Screened: 225 Sq. Ft.
House Dimensions: 73' 2" x 81' 8"
Great Room: 18' 4" x 22' 0"
Garage Storage Bay (Flat): 11' 8" x 3' 0" x 0' 0"
E-Space (Flat): 6' 0" x 5' 4" x 9' 0"
Library (Flat): 12' 6" x 9' 2" x 10' 0"
Foyer (Flat): 6' 6" x 9' 2" x 10' 0"
Dining Room (Flat): 14' 0" x 13' 6" x 9' 0"
Great Room (Vaulted): 18' 4" x 22' 0" x 20' 9"
Kitchen (Flat): 15' 6" x 16' 4" x 9' 0"
Utility Room (Flat): 12' 8" x 11' 10" x 9' 0"
Bonus Room (Clipped): 15' 8" x 25' 0" x 8' 0"
Garage (Flat): 24' 0" x 27' 4" x 0' 0"
Bedroom / Study (Tray): 11' 8" x 12' 6" x 10' 6"
Bedroom #3 (Flat): 13' 0" x 12' 4" x 9' 0"
Bedroom #4 (Flat): 13' 0" x 12' 4" x 9' 0"
Porch - Front (Flat): 22' 1" x 7' 8" x 10' 3"
Porch - Rear (Flat): 18' 0" x 8' 0" x 9' 0"
Deck / Patio (None): 38' 10" x 20' 8" x 0' 0"
Porch - Screen (Cathedral): 14' 0" x 15' 0" x 17' 0"